When A.C. "Ace" Emmett arrived in 1902, Manitoba possessed few passable roads. Railways provided the chief means of transportation, and most automobile owners were concentrated in Winnipeg. 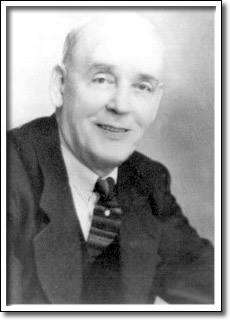 Through his work with the Winnipeg Automobile Club and its successor, the Manitoba Motor League, and membership in various road-building associations, Emmett energetically led the movement for the development of a network of highways across the province. Emmett lobbied for the creation of a provincially-funded "Good Roads Program" to help municipalities construct standard market roads. In 1912, Wallace Municipality became the first to participate in this program. Emmett pressed for a system of provincial trunk highways, and in 1923 the first such route was designated. He also originated the idea of numbering highways, which was adopted by the Province in 1926. By the time Ace Emmett died in 1959, dependency on highway transportation had forever altered the land use patterns of Manitoba.